Why JMC - Outstanding quality, creative solutions, Florida coast-to-coast " + elem[i].type + " "; //str += "Name:" + elem[i].name + " "; //str += "Value:" + elem[i].value + " "; //str += "
Central Florida is our home. 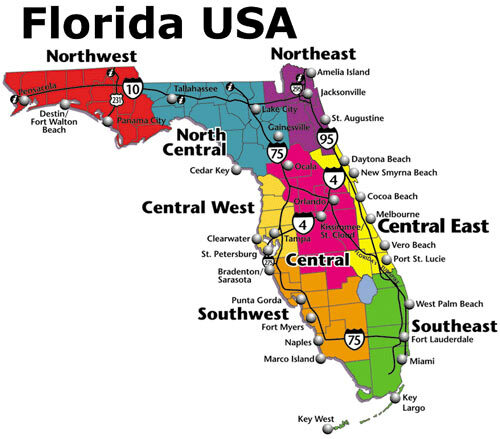 We currently clean in excess of 5,000,000 square feet across the state of Florida - coast to coast. JMC has purposefully chosen to stay a regional company, because we choose to keep it personal. We choose to make it “personal,” because we truly care. We don’t have a corporate marketing team selling and preparing and presenting proposals, who will then hand off the project and disappear, if successful. The same team walking, studying and doing the homework, preparing, and presenting, will also be part of the ongoing operational and quality control team. We are large enough to provide any services that you may need, but small enough that every account, every customer, is a VIP to JMC. JMC clearly understands our employees, from the bottom up, are key to our success, and it is our job and challenge as a company employing low wage staffing, to go the extra mile in being unique and creative in our ability to hire, retain, and demonstrate to our crew that we truly care about them and their families. In a very price competitive industry, JMC does a great job at that. We take care of our employees, who in turn, take care of our customers. JMC seeks opportunities to learn and renew, in order to stay “cutting edge” and relevant in our industry. We also continually seek creative solutions and new ideas to be innovative and to improve the needs/wants of the individual building and tenants. JMC understands that ongoing training is key to our success, and that goes on at every level within our corporation. We are always acquiring additional industry certifications of various kinds, and there is JMC representation at Industry related shows and conferences. JMC’s approach to providing quality service is proven by the longevity of our customer accounts, earned through providing outstanding services, and some that we have been privileged to provide services to for over 16 years. We believe long term relationships that are earned through providing outstanding performance are the best relationships.